This design is based on a bronze box and lid found as part of a horde, known as the "somerset Horde" in the townland of Somerset Co. Galway ,Ireland. 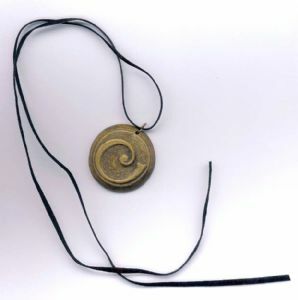 The design is very simple , yet elegant and is probably La Tene in influence, dating from around 300 B.C. 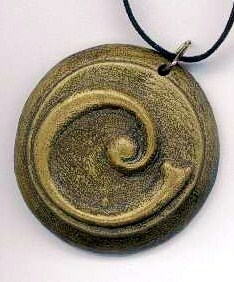 This pendant is sculpted and coldcast by Colm Mc Cann in studio. The pendant is 35mm in size and attached to a lenght of thong 600 mm in lenght by a triangular bale. 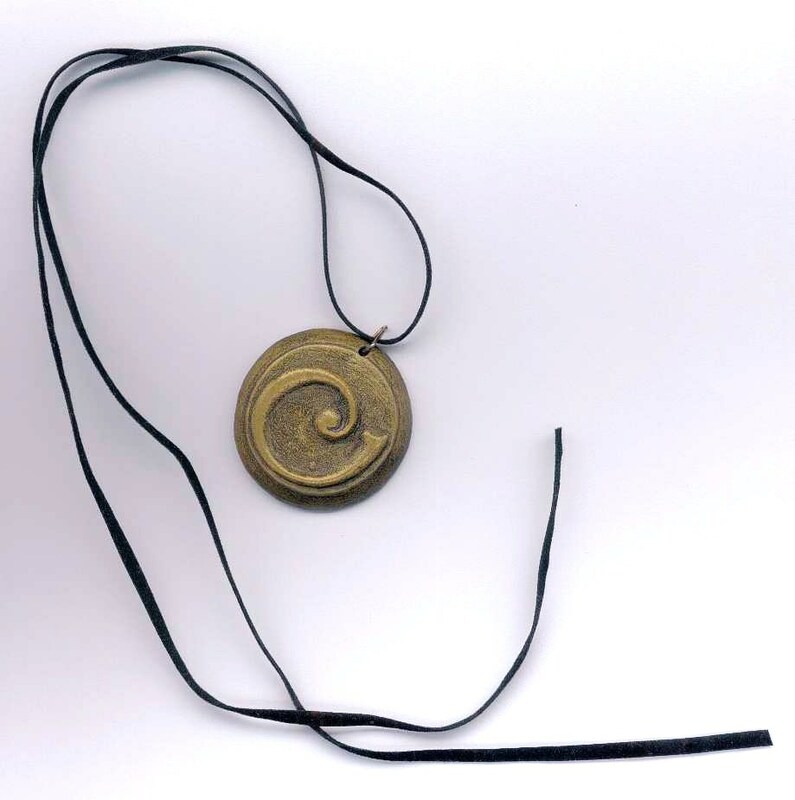 This pendant is made in three finishes brass(as shown) bronze and pewter.